– Zara Warland (Year 7), Arabella Price (Year 7) and Georgia Arcus (Year 8) who came 3rd in the Junior CIS division. 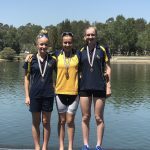 – Breanna Ivankovic (Year 10), Charlotte Ryan (Year 10) and Madeleine Playford (Year 9) who came 3rd in the Intermediate CIS division. The rowing program had another successful weekend, winning the overall points score at the Kings/PLC regatta on Saturday before backing up on Sunday to finish a close 2nd overall in the IGSSA regatta—great stuff, girls! 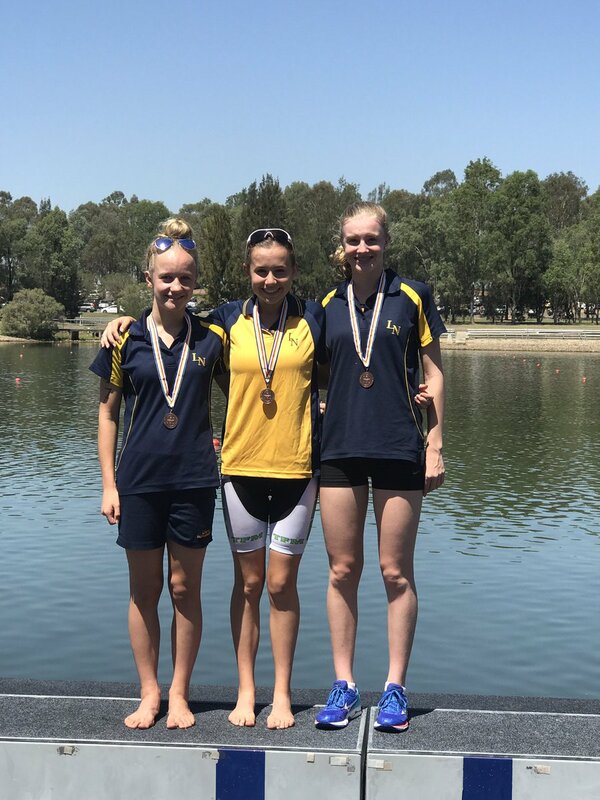 Elizabeth Chippendale (Year 10) had success on the track, winning the U/18 400m at the ACT Athletics Championships last weekend. Loreto was represented in spirit if not in uniform by all students competing at the NSW Junior State Cup for Touch Footy last weekend—representing their clubs, they showed true Loreto spirit all weekend and got some top results! On Tuesday 28th of February, the school will be hosting an information night for parents to present the findings of the Sport Review and how we will use this information to guide us into the future. The evening will be held on the top floor of the Gonzaga Barry Centre and will begin at 7pm – all are welcome to come along and hear what the future of Loreto Normanhurst holds in store for the girls. If you are unable to attend the evening in person, the night will be recorded and the podcast will be made available to all parents. All students have received an email today calling for nominations for the Term 2 Activities Programs. These programs are open to all students, regardless of experience or ability, and are a fantastic way for them to try something new or to continue building a skill. Please note that despite our activities program running year round, students need to nominate for each new term if they wish to continue in an activity. Duties involve cooking the BBQ or serving. If you are unable to fulfil your duty you must arrange a replacement (contact other day girls’ families in your team from the team contact list). Term 2 2017 Secondary School IGSSA Sport online nominations have now closed (Hills Netball nominations will close this afternoon). Girls who would like to request a late nomination for IGSSA Sport, Cheerleading or Dance Performance Troupe must speak to the staff in the Sports Office. Term 1 Secondary School Activity online nominations are now closed. Students who still wish to join an activity must see the Sports staff and ask for a nomination form. For IGSSA competitions the full draw points table, venue lists and wet weather details are also available from the IGSSA website here.